... plus one knitting project. Happy end of the year! It was a challenging year in a lot of ways, and I'm glad it's over. Glad I'm almost 6 months out from smashing my finger. (By the way, don't ever do that.) I'm excited for a new year; I love this time of year with the possibilities and new start. 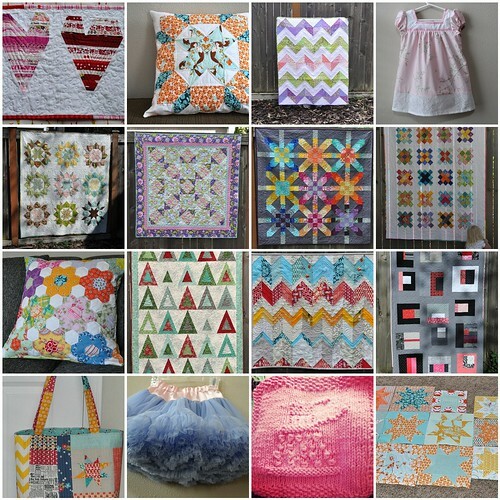 wonderful projects and I love those scrappy hearts! I LOVE everything you did this year! It is so fun to see it all in one place. 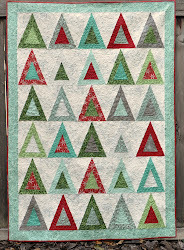 I think my favorites are your zig-zag quilts. Love them! Beautiful work. P.S. Hope your finger is completely rehabilitated. I know that was seriously not fun for you. I know you've had a lot going on this year, and still you've made some amazing quilts, hooray for you! And here's to no bodily injury in 2013! That supernova is divine--really pops out at me! Lovely projects, and cheers to 2013!